We are currently setting up at the RHS Chelsea Flower Show in London. It is remarkable what an effect the additiion of a seat into a garden setting can have on the whole feel and character of the garden. It is like a full stop in the garden. A place to pause. A quiet space. The addition of a seat will add decoration and purpose to a space and will offer a different perspective on the garden view. Joy in the world, and peace, and dawn's one star. As I am sure you will be aware there are new laws coming in on 25th May which bring data protection back up to all our attention - rightly so. We take the security of the information we keep very seriously. I would like to assure you that if we have your contact details it is because you are a current customer, previous customer, or you have signed up to our newsetter on the website. Your details are kept secure, never shared with anyone and will be updated or deleted on your instruction. We were recently lucky enough to buy a large collection of Yorkshire stone troughs so have a wonderfully large selection to choose from. We have at Chelsea Flower Show set up some of these as a trough garden which made me think of trough gardens as an idea for areas of courtyard or potentially walled gardens, vegetable plots, more formal areas of the garden or a solution to a tricky area where the soil is bad or non existent but is crying out for some interest and colour. Lord and Lady Heseltine have created a whole Trough Garden, infact we supplied many of the troughs for this at Thenford House. They have created an area of carefully placed, stone troughs in varying sizes – some considerable - all planted. The area is enclosed with iron arches and railings around and a cider mill in the centre planted. Thenford House opens their lovely gardens to the public a couple of times a year. It is well worth a visit. Traditionally trough gardens would have been a collection of smaller troughs and stone sinks planted with alpines. I fancy, however, a trough garden with large troughs predominantly planted as a courtyard garden made up of perennial flower beds in the troughs themselves. Structure plants within the planting as you would have in a flower bed which hold the space and then plants for year round interest. At Chelsea we tend to fill the troughs to give a good display for the show. You don’t need to do that, just to create the balance and seasonal planting you would have in a flower border in the garden. It ticks all the boxes. 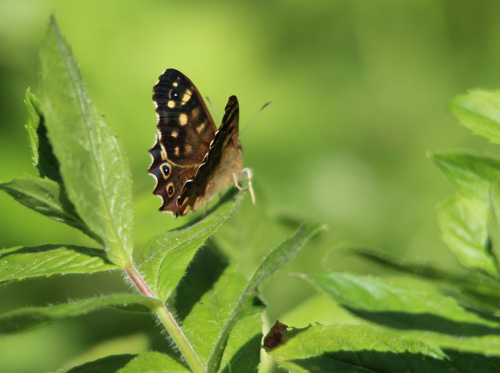 The plants love it in the stone, stone troughs look wonderful with plants, there is a great depth of soil, good drainage and the height of the trough lends itself well for tending and maintenance, weeding etc – kind on the back and the knees! Put at least one of the troughs to moving water and you have a fantastic garden space which if you decide to move house at any point to another part of the country you can just take with you. What’s not to like? 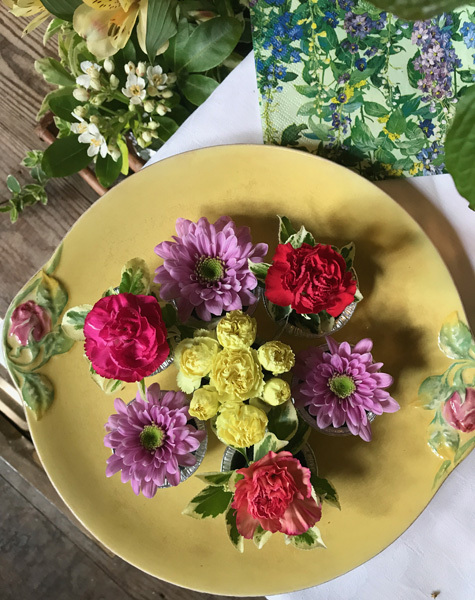 So many of the more interesting planters, containers and urns and ornaments we have available are in fact reused items from the past. 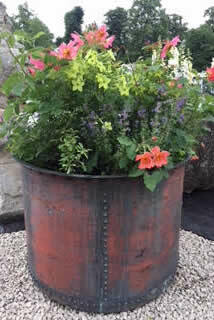 Rural items such as stone troughs, galvanised tanks, copper water tanks, cast iron pig troughs and animal feeders, washing pots and tanks, copper coppers all make wonderful, great sized planters. 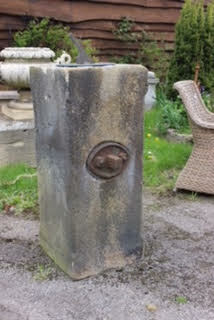 More industrial looking items such as this sundial add a really different feel. 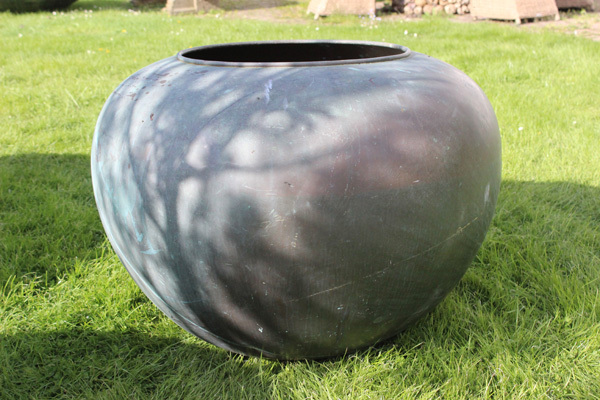 Big cast iron boiling pots, copper cheese vats or chocolate pots which can no longer be used for making foodstuffs make the most gorgeous planting vessels. Right by the back door in Jon’s coat – who ever thought that was a good house for the robin family? !